Whether they realize it or not, teens imitate others on how to live their life. So it’s essential to tell teens about the lives of exemplary and holy men and women: the saints. But I’ve always striven to tell them about YOUNG saints, teenagers just like them. This post is a review of three books that contain a unique collection of brief life stories of YOUNG saints. 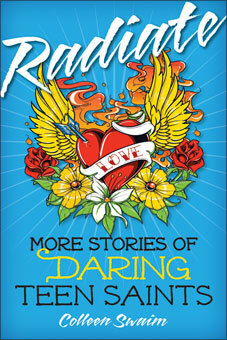 The first two books by Colleen Swaim, Ablaze and Radiate, are a collection of saint stories, at least 8 saints per book. 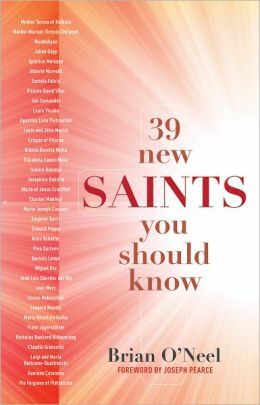 They are brief stories that last no more than 10 pages, but they cover all of the saint’s life, including some of the saint’s characteristics, main dates, defining moments, and sometimes a quote or two. In my opinion, the best part about these books is that it’s all about teen saints. You can probably find these teen saints on the internet, but these books give you a quick reference and a story that you can use. They are also written in a way that would be appealing to teens, in case you would like to gift them to your teens. 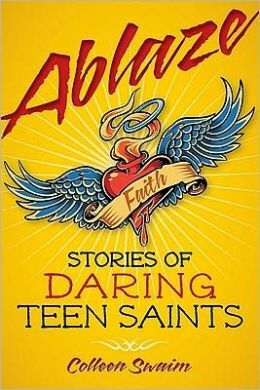 Although this book is not only about teen saints, the saints in this book may also resonate with teens, as well as adults, because they are more recent saints. Quite a number of these saints were neither priests, nuns, nor religious. Many of these saints and blessed were simple people that tried to live an holy life with an exemplary friendship with Jesus. I thought these stories would also help our teens identify with these saints. Read them and/or use them as part of talks and discussions. You can use them around bonfires, or as a story to tell at camp before going to bed. Photocopy various stories and have teams make a skit on the life of the saint, speaking about the saint’s virtues and lessons to be learned. Whether a parent or youth ministry, offer a book as a gift to your teens. Parents can occasionally use these for bedtime stories for your children. A starting point for learning more about modern and young saints. If you like these ideas or these books, please share this blog post so others can benefit. Thank you! Posted in Adolescence & PedagogyTagged ablaze, book review, Christian parenting, discipleship, faith formation, Lent, new saints, parenting, prayer, radiate, resource, saints, skits, spirituality, teen saints, youth ministryBookmark the permalink.